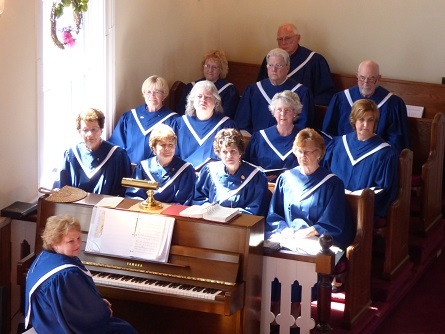 The Chancel Choir during a winter worship service. 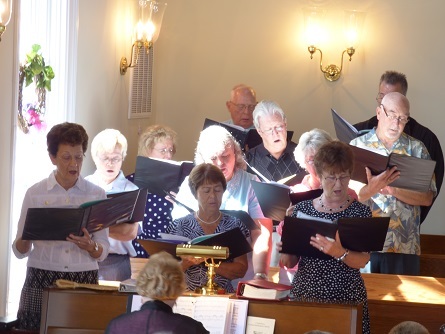 The Chancel Choir during a summer worship service. 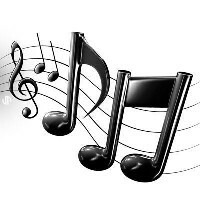 The Chancel Choir meets on Thursday evenings from 7:00 to 8:30 p.m. All are welcome to come and join us as we offer our gifts to God. Our fearless leader is Becky Wilhite, who taught music at Middlesex Elementary School. She keeps us on the straight and narrow during rehearsal while also challenging us with the music she selects for our anthems. Our organist is Janis Slaughter. Janis has the great opportunity to play our Rodgers Opus 1289 organ every Sunday. She has only scratched the surface of what this fully electronic organ can do, but when she discovers new techniques and 'voices' on this instrument, it is a great addition to our worship. We are fortunate to have these two ladies at Clarksbury as they oversee the music of our worship service. We would not be able to do this without them.